Implanted in the Provencal region, Michaël Zingraf Christie’s International Real Estate extends its expert knowledge and experience in the prestige property market from the Mediterranean coast to the most attractive towns and villages inland, to the stunning landscapes, diverse natural heritage of the South of France. The unique beauty of Provence rendered timeless by great works of art, is also home to exclusive, extraordinary properties. Michaël Zingraf Christie’s International Real Estate presents the finest selection of prestige homes in Aix-en-Provence, Gordes, Lourmarin and Saint-Remy de Provence. The rich diversity of Provence offers homes in a rich choice of settings: homes nestled among red rocks and wild, in the heart of the Luberon regional park, hilltop manor houses or “Bastides”, vineyards, Provencal farmhouse or “Mas”… from ultra-modern architectural homes in idyllic settings to traditional farmhouse conversions, Michaël Zingraf Christie’s International Real Estate properties in Provence combine aesthetic beauty, noble materials and the finest fittings for comfort and leisure. Michaël Zingraf Christie’s International Real Estate offers the excellent service worthy of an illustrious and mostly international client list. Whether you are seeking a long-term investment, an exceptional home and location for vacation or a permanent residence in Provence, you will be enchanted by the Michaël Zingraf Christie’s International Real Estate selections. Our agencies in Provence are specialists at your disposal at every stage of your property project. Presentation of exquisite homes and the major landmarks and attributes of a location will help you find the home corresponding to your desires and lifestyle. Michaël Zingraf Christie’s International Real Estate, an exclusive partner for all luxury and prestige properties in the South of France. Consult our specialized agents for property sales, rentals and investment and personalized services. 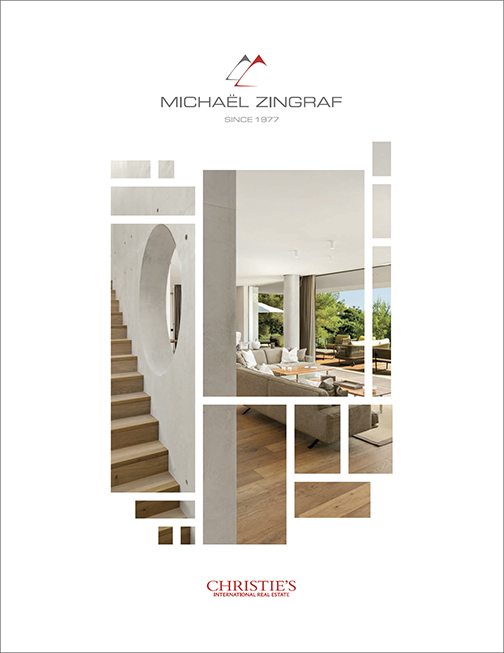 Built over forty year’s dedication and service to luxury home buyers, Michaël Zingraf Christie’s International Real Estate is your trusted partner for all your real estate transactions in the South of France.